Over the past years, we have seen the appearance of many insightful studies into the nature of early medieval and specifically Carolingian political systems. With regards to the latter, such studies have been gently chipping away at the image of the Frankish Empire of the late eighth and early ninth centuries as a starkly centralised monolithic structure. Instead, it is steadily being replaced with an altogether more nuanced view, of a realm where local interests were as much the driving force behind the "reforms" that characterised Carolingian rule as was the impetus from the intellectual elite, for example, and where pragmatic responses to outside impulses were as important as a programmatic vision formulated at the court of Charlemagne. In short, it is increasingly acknowledged that the Carolingian Empire was every bit as complex a state as its later, better documented counterparts, and that this complexity can in fact be gleaned from the sources if only we allow them to speak to us in the way intended by their authors. Jennifer Davis' monograph is one of these studies. It is intended to show how the reign of Charlemagne, in spite of the comprehensive way in which it has been presented by later sources, was a realistic one - an empire based on "practice" rather than on idealism. 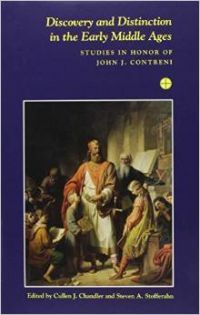 The author has achieved this by going through the available source material and framing them as responses rather than initiatives, which, when taken together, betray "patterns of power" while at the same time allowing her to avoid the trap of prescriptive (or retrospective) biases inherent in the narratives upon which many historians of the Carolingian era have to rely. In the process, she also fruitfully engages with existing scholarship on the topic of Charlemagne's government, embedding (and thereby justifying) her argument within the ever-expanding corpus of literature on this topic. The book is divided into three parts, each of which helpfully comes with its own introduction and conclusion. These three parts are bookended by a methodological introduction (1-39) and an epilogue (431-436) tying the many observations made throughout together. Part I (43-166) deals with "strategic rulership" and focuses on the tools Charlemagne had at his disposal in order to turn his ambitions into an attainable reality. In the course of three case studies, Davis here shows how the ruler had to navigate the limits and possibilities of his policies. 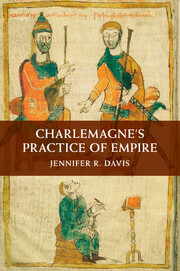 From the beginning of her book, she argues that Charlemagne must ultimately have been aware that he was dependent on people in order to assert control. This realisation provided a reality check for him as well, as there were definite limits to his coercive powers as the realm expanded at the edges. Keeping individual agents in check, providing adequate responses to rebellions and dissenters, and providing a framework for the delegation of powers thus became the primary concerns of the court, rather than extending absolute control over the farthest reaches of the empire. This latter point becomes the main theme of Part II (169-340), which attempts to show how "another fundamental problem of empire" was dealt with, "namely, how to balance imperial and local concerns" (166). Where the first part dealt with people, this part takes the disparate regions within the realm as a point of departure to shed new light on the well-worn path of "unity and diversity". It shows, on the one hand, how regional traditions were confronted and subverted, both through incorporation - as was the case with the bishops in Italy - and experimentation - as happened in newly conquered regions such as Bavaria and, again, Italy. Saxony, as well as Southern Gaul and Northern Iberia, are unfortunately left out of the equation, but these lacunae are noted by the author and ultimately do not detract from the overall argument. This part concludes with a chapter on the centralisation and standardisation attempted by the court, highlighting the importance of communication and hearkening back to the links between the emperor, his court and his delegates described in Part I as well. This, in the end, may have been a weak point, Davis assesses, as it hinged on the persona of the ruler to a great extent - making it all but impossible for his son Louis the Pious to live up to his father's legacy. Finally, Part III (343-430) turns from the "practice of empire" to the "empire of practice". It shows that Charlemagne's reign was part of a larger continuity reaching back to the Merovingian and Late Roman eras, which provided a framework for the principles upon which it was built. 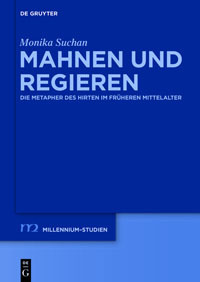 Within that framework, the idea was to find an acceptable bandwidth within which "creativity, [...] a willingness to adapt and improvise, [...] ad hoc responses to events, and [...] the ability to seize chances when presented" (345) would allow the empire to continue without undermining its ideological foundations. It was this "perpetual responsiveness" (429), Davis concludes, that allowed Charlemagne and his court to build on their successes and cope with their failures. This, she concludes in the final part, may allow us to re-consider the place of Charlemagne's reign in the longer history of Western Europe: it was his flexibility (and that of his court), rather than his singular vision, which should be seen as his major contribution to the way rulership was shaped and understood in subsequent years. The title of this book, as well as its auspicious publication date close to the 1200th anniversary of Charlemagne's death, would make it seem as if this were yet another biography of the illustrious emperor. In fact, it is anything but. Davis' tripartite book essentially is a reflection on the governmental system - or lack thereof - developed during the reign of Charlemagne. It paradoxically elevates the ruler to a position of the utmost importance while simultaneously downgrading his personal accomplishments by pointing out the reactionary nature of his politics and his reliance on the willingness of his entourage to adapt to ever-changing circumstances. This is, in the end, one of the strengths of the book. Charlemagne's Practice of Empire is a challenging read - the type that forces the reader to immediately think about how to react to it. It is as provocative as it is profound, and which will hopefully become a standard work of reference for the years to come, inspiring students and more advanced scholars alike.